Air Conditioning Sales and Installation Services – Free Estimates! Home/HVAC Services/Air Conditioning Sales and Installation Services – Free Estimates! AC Wizard understands the importance of having an efficient, maintained, and reliable air conditioning system during the hot summer months in Texas. That’s why we have a team of highly trained and certified HVAC technicians standing by for residents in Dallas, Texas and surrounding areas. We have many products and services to choose from that include repairing, maintaining, and installing air conditioning systems of all types. Just take a look at some of the popular services we offer! Energy Audits – We’ll show you how you can save! 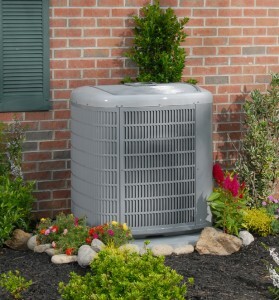 Zoned HVAC Systems – Control the temperature in a specific area of your home. Replacing Your Home Comfort System? If you have any questions or concerns about your central air conditioning system, don’t hesitate to contact us at (214) 342-2665 today and we can answer any questions you may have or set you up with an appointment. We can repair or replace all types of central air conditioning systems and no job is too big or too small. Whether it’s a seasonal tune-up or a fully custom HVAC system designed to meet your specific needs, our technicians have not only the certifications to do so but also the experience. Customer satisfaction is our #1 priority which is why we guarantee all the products and services we offer.